KAIST (formerly known as Korea Advanced Institute of Science and Technology) is a research university located in Daedeok Science Town, Daejeon, South Korea. 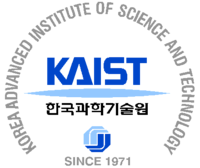 KAIST was established in 1971 as the nation’s first graduate school specializing in science and engineering education and research. It is one of the top science and technology universities in South Korea along with Seoul National University and POSTECH. KAIST is located in the Daedeok Research Complex in the city of Daejeon, 150 kilometers south of the capital city, Seoul. Daedeok complex is the nation’s R&D capital and home to some 50 public and private research institutes, universities and high-tech and venture capital companies. 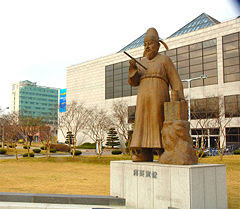 KAIST’s Daedeok and Seoul campuses house four colleges (natural science, engineering, business and cultural science with 16 departments), eight research institutes and five affiliate schools. There are at present a total of 7,736 students enrolled; 3,223 in the bachelor’s, 2,213 in the master’s, and 2,300 in the doctorate program. International students number 220 and account for 3 percent of all students, with 55 in the bachelor’s, 76 in the master’s, and 89 in the doctoral program. KAIST has 442 professors and 323 staff as of Feb. 1, 2008. KAIST was founded with government funding and was initially staffed with a number of Korean engineering and science talents educated in the United States. From the onset, the emphasis has been in theoretical as well as applied research. KAIST continues to be Korea’s foremost center of strategic R&D projects. The University helped pioneer the establishment of competitive graduate school programs in Korea. The University’s some 400 faculty conducts research in cooperation with academics and industries all over the world. KAIST offers grants and fellowships to international students. The University has for many decades, recruited faculty from overseas. The current KAIST President Nam Pyo Suh, an authority in axiomatic design technology, comes from MIT. His predecessor, Robert Laughlin, a Nobel Prize laureate and a physics professor from Stanford University, was the first foreigner to head a Korean university. Professor Emeritus Cho Jang Hee, was a dual professor at both Columbia, New York, and KAIS, and played major role in the development of the PET scanning technology. The vast majority of professors come from US higher education institutions. The school engages in many international programs with leading European and Asian universities. The university is a member of LAOTSE, an international network of universities in Europe and Asia. It is also a member of the Association of East Asian Research Universities. Governed by a special law, KAIST has an autonomous and flexible academic system. Other South Korean colleges and universities are required to abide by the government-directed admissions and curriculum requirements. Undergraduate students can join the school through an “open major system” that allows students to take classes for three terms and choose a discipline that suits their aptitude. In addition, undergraduate students are free to change their major anytime. With Korea’s first test-free admissions system, the overall grades, the math and science grades, recommendation letters from the teachers, study plan, personal statements, and other data that show the excellence of potential students are evaluated for admission. KAIST has produced many doctors through the Integrated Master’s and Doctoral program and Early Completion System. Students must publish their papers in globally renowned academic journals. Scholarships are given to all students in the bachelor, master and doctorate courses, and doctoral students are given military-exemption benefits. On campus dormitories are provided to all those who wish to use them. The College of Natural Sciences consists of 5 departments: Physics, Biological Sciences, Mathematics (Division of Mathematics and Division of Applied Mathematics), and Chemistry. The College of Natural Sciences also holds the Natural Science Research Institute as an annexed research institute. The College of Culture and Science is composed of two Departments: School of Humanities and Social Sciences and Graduate School of Culture Technology. The School of Humanities and Social Sciences has about 75 faculty members (3 professors emeriti, 18 full-time faculties, 13 visiting professors, 1 research professor, 40 lecturers), the Graduate School of Culture Technology also has 4 full-time faculties, 5 visiting professors, 7 adjunct professors, and 89 master students and 36 doctoral students. The Graduate School established the Humanities and Social Science Research Center and the Culture Technology Research Center. 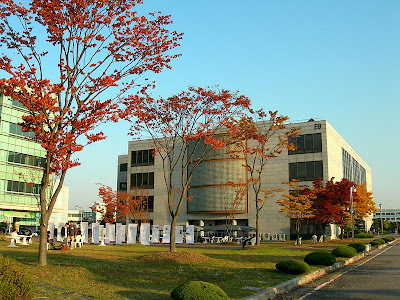 The interdisciplinary major program at KAIST was founded on September 1, 2003. With the subsequent establishment of auxiliary organizations, the program was launched in earnest in April 2004. KAIST established the Graduate School of Management in March, 1996. In 2006, The Graduate School of Management joined with the Graduate School of Finance and the Graduate School of Information & Media Management to form KAIST Business School.